The key to an effective and safe detox from alcohol is never leaving someone to do it alone. With Windward Way, you will have our professionals at your side as you begin your journey to quit drinking. For young men and women undergoing withdrawal from alcohol, it’s an absolute necessity to deal with the issue as a medical condition. Since alcohol withdrawal is not only often uncomfortable, but also possible life-threatening, the committed people at Windward Way’s alcohol detox center take your health very seriously. It’s undeniable that Windward Way places your safety and comfort as absolute priorities. The staff at our medically supervised detox center will evaluate your unique situation and provide medication and/or supplements (when appropriate) to smooth your passage to our alcohol rehab program. You don’t have to lose hope. We know how difficult it seems to get sober. For all that, we know you can do it! Don’t question for a second our commitment to you to find a new life for yourself. Take heart and begin the detox process right now. We’re here 24/7 to hear out your unique situation and craft a plan for you. 855-491-7694. Windward Way is no stranger to polysubstance abuse (using more than one type of drug). That’s why we frame our clinically supervised detox program to address multiple, existing drug addictions in addition to your dependence on alcohol. With as many addiction types that are out there, we know how important it is to treat every person as a whole. In fact, it’s this holistic approach that makes our individualized program shine. Click to discover why our admissions process is as highly praised as our program of recovery for addiction to alcohol. Your life’s aspirations can really take off once you find lasting sobriety like the thousands of men and women who have completed our program. Take heart—the beginning of your life without addiction is just a phone call away. 855-491-7694. Alcohol use has increased dramatically since the early 2000s, and it’s now estimated that close to 30 million adults tend to binge drink weekly. Another study found that 12.7% of the US population meets the criteria for alcoholism. In other words, one in eight American adults has an alcohol disorder and drinks too much, too often, and in ways that affect both their personal and professional lives. When alcohol becomes more than just the occasional pleasure and turns into an obsession, it’s a sign that you are in dire need of help and support. Who Needs a Detox Program for Alcohol Withdrawal? Alcohol is legal in most countries and happy hours are an acceptable way of ending a long and stressful day. Because alcohol consumption is so common, it can be difficult to determine how much is too much and when drinking starts interfering with one’s health, work, and social life. Binge drinking (consuming more than five drinks in two hours for men and more than four drinks in two hours for women) is a warning sign that you may be on a dangerous path. Needing alcohol to feel and function normally is another triggering sign that something is wrong. Abstaining yourself from alcohol consumption is not only a matter of willpower. There are situations when withdrawal is so dangerous that it can put your life at risk. Even if when consuming alcohol is not dangerous, it can still be a challenge to find a balance on an acceptable consumption amount. As strong-minded and committed as you may think you are, the truth is that alcoholism is a severe problem that requires ongoing support and medical supervision. You need a detox program to guide you through the process and alleviate your withdrawal symptoms. For how long has the patient been drinking (months, years)? How much and how often do they drink daily (all day every day, or perhaps binge drinking sessions)? Does the patient combine alcohol use with the other addictive substances? Is the patient suffering from additional mental health symptoms that may be caused either by long-term alcohol use or by a mental health disorder? Is the patient suffering from recurring health issues, such as depression, chronic illnesses, chronic pain, etc.? Other issues to factor in are health complications, such an elevated heart rate, blood pressure or other medical emergencies. If delirium tremens or Wernicke-Korsakoff syndrome is present, then medical complications may arise. Also, mental health issues, including depression, anxiety, and confusion may prolong the alcohol detox period and make withdrawal symptoms more serious. Can Complications Occur During the Process? Delirium tremens is the most severe form of alcohol withdrawal and may include tremors, hallucinations, disorientation, and seizures. The first symptoms usually appear within 48 – 96 hours after the patient stopped drinking. Alcohol withdrawal can also lead to a variety of psychiatric problems, such as sleep disturbance, anxiety, and depression. Moreover, alterations in the person’s mood, behavior or even physiology may appear during the process and persist even after the acute withdrawal symptoms have subsided. Recent advances in neurobiology may support the development of improved medications to decrease the risk of complications and sustain the commitment to long-term sobriety. 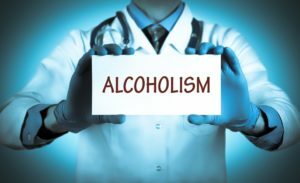 How Can a Medically Supervised Alcohol Detox Center Help? One of the primary benefits of a medical detox facility is that it provides a safe environment where patients can go through the complex recovery process under the vigilant eye of trained professionals. Of course, nobody can guarantee that the alcohol detox program will be pain and problem-free, but you have a better chance at recovery if a trained medical staff supervises you. They can monitor for signs of severe anxiety, cardiovascular distress, DT or hallucinations. Medical detox also includes pharmaceuticals for nausea, vomiting or anxiety, as well as anticonvulsants. But the crucial difference medical detox brings into a patient’s life is the bond that begins to develop between them and their therapists. If patients are uncomfortable or suffering during the detox program and the team intervenes to alleviate these symptoms, they gain a new sense of trust, which can ease the recovery. Compassion and care are the keys to a successful endeavor, as long as patients understand that detox alone is not an addiction treatment. Yes, the symptoms will subside and leave room for transformative recovery, but that’s just the beginning. The path to sobriety is a life long journey, and many times it requires additional treatment for body, mind, and spirit. It may be yoga, support groups or any other coping mechanism that you find useful. Alcohol detox is only the first step in an intensive overall effort.